Art Shop 2013 marked the 33rd year of this unique art program for kids in our community! Art Shop is supported by the Citizens' Council for the Arts and is run by a great group of folks we'd like to thank: Renee Kauffman, Jessica Hammond, Lyn Gerhard, Sara Garrison, Sandy Rosco, and Bonnie Garrison. Thanks to our ArtShop Instructors: Terry Barnard “Corky the Clown”, Russ Bean, Bob Brunn, Teri Burch, Kelsey Cordes-Snyder, Jason Byers, Marilyn Griffiths, David Groth, Jan Hallmark, Alyssa Howard, Barbara Irvine, Jeff Johnson, Brianna Knudtsen, Deborah Loy, Roni Melton, Liz Mowrey, Sally Eilering-Sorenson, Carol Uptagrafft. And thanks to Hayden Meadows Elementary School and School District #271. Kids had fun this year in visual arts classes like Cartooniversity, Drawing & Painting, Jewelry Design, Mud Works, Origami Paper Art, Papier Mache, Scratchboard Art, and Splash Floorcoverings; and performing arts classes including Marimba, Rhythm Stomp, Do Ya’ Wanna’ Act?, Hip Hop Dance, Juggling and More!, Zumba, Magic Effects, Yo Yo, and Clowning Around. 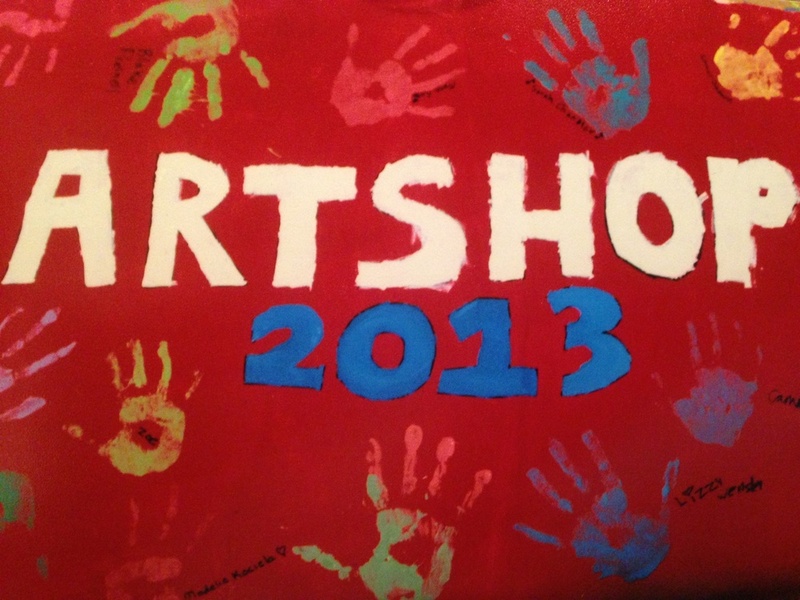 We appreciate all who made Art Shop 2013 possible and we look forward to Art Shop 2014! Older PostWe have the best volunteers!